This building is a direct description of the economy of building a “warehouse” to store cars. 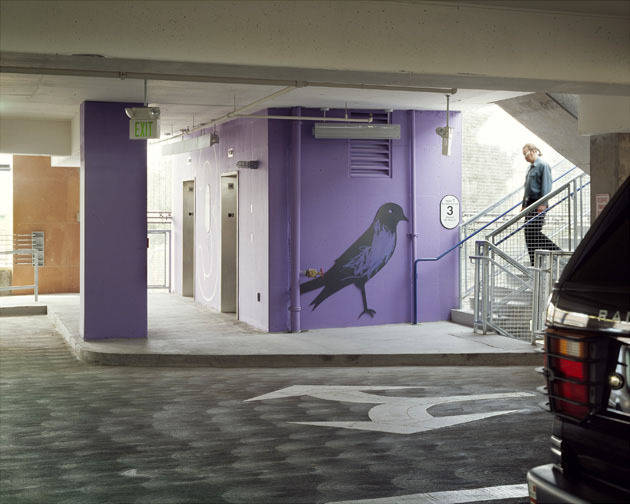 Unlike some avant-garde parking structures that attempt to “hide” the cars inside, the automobiles in this building are apparent from the street. The building had to be fit into a fabric of existing downtown buildings, some of them historic. 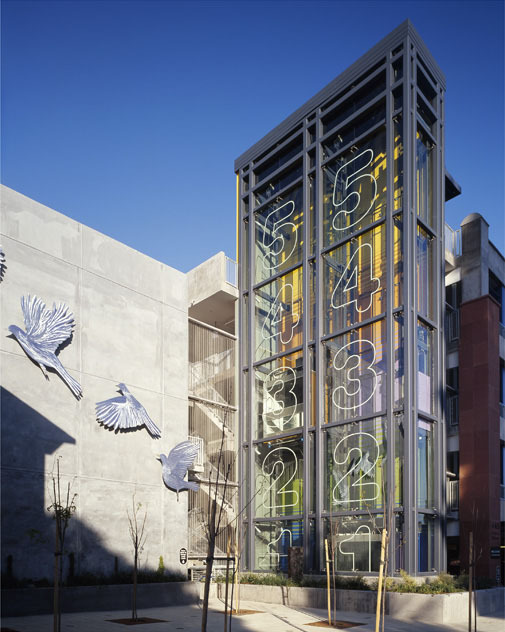 Parts of the structure are buffered with a retail building fronting on a plaza where the artistic graphics of the elevator are featured. While the city wanted to create as many new parking spaces as possible, it did not want to create a building out of scale with it’s neighbors. Maintaining the pedestrian appeal of the downtown area was also an important consideration. 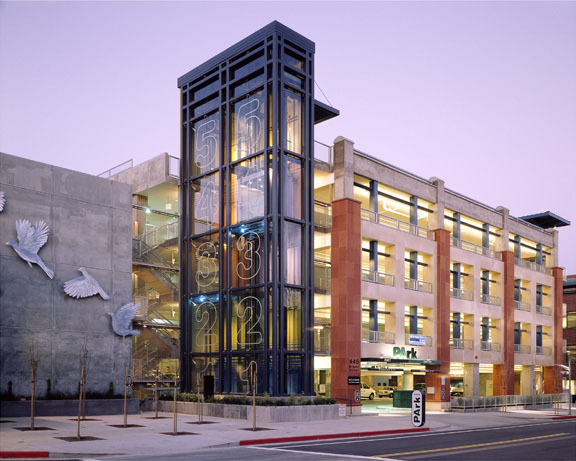 We believe we have achieved these goals by setting back the building, creating two underground levels of parking and creating a structure that is light and open that includes a plaza on the street. The experience both from the street and inside is one of light, warmth and openness creating a feeling of pleasant safety. 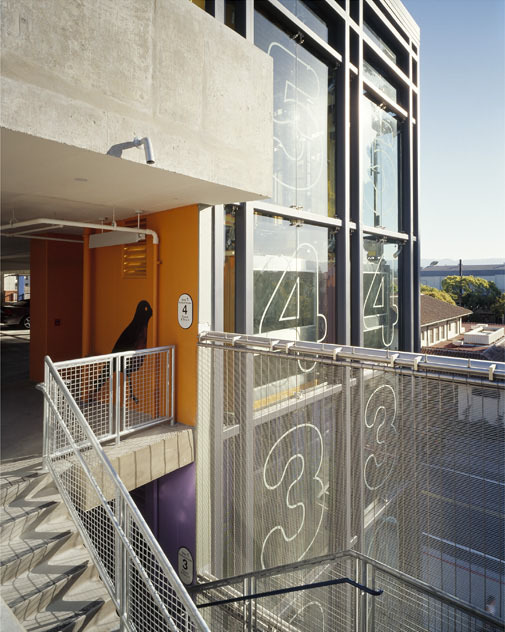 Simple, direct and the visual expression of the building’s use are guiding principles of creativity in the valley. The building expresses those values.